365 days of the year, with 24/7 emergency call-outs available. tools in each van – always ready to start work on the spot. – reliable, hard-working, and professional. Fully qualified and certified for the job at hand. and professional protocols – always polite, respectful, and trustworthy! Need a blocked sink plumber Sydney wide? Call the experts. Book your job below. There’s only one blocked sink Sydney wide service you can trust. With on-time repairs, we’re never too late to rescue you. Honest, up-front quotes keep things transparent and fair. You’re not in the dark. Reliable repairs mean you’re not stuck waiting on a second opinion. We get it right, first time. Over 30 years of experience as Sydney’s premier pipe experts. Don’t wait: book today with the professionals. Book with Blocked Drains To The Rescue. A sink blockage in Sydney deserves fast, on-time service, with same day repairs. Don’t let it cascade into a plumbing nightmare. A clogged sink might be part of a bigger problem. With expert investigative techniques, we’re ready to find out. We use the latest in CCTV drain camera technology to find the root cause of your issue. Then we fix it. Simple enough? 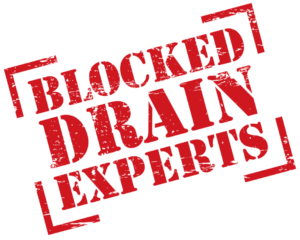 We’ve been known as Sydney’s Blocked Drain Experts© for over 30 years now. Trusted for every kind of blocked sink, drain, and pipe, we’re always nearby, always ready to rescue you! There’s never been a better time to book. With same-day service and repairs available on all jobs, 24/7, 365 days of the year, we’re your go-to. Trust the team recommended as Sydney’s most reliable blocked drain plumbers. Book your job today.